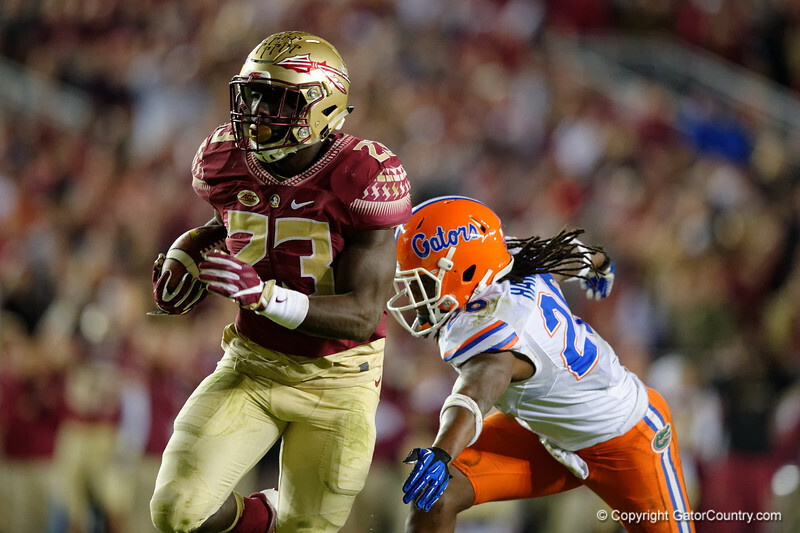 Florida State fullback Freddie Stevenson gets the ball and rushes into the endzone for a FSU touchdown, as the Gators go into Doak Campbell Stadium and lose to the Florida State Seminoles 31-13. November 26th, 2016. Gator Country photo by David Bowie.